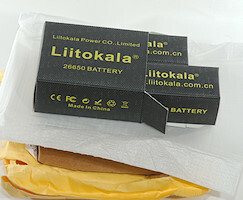 LiitoKala has updated the wrapper for their battery, is the battery inside still the same? 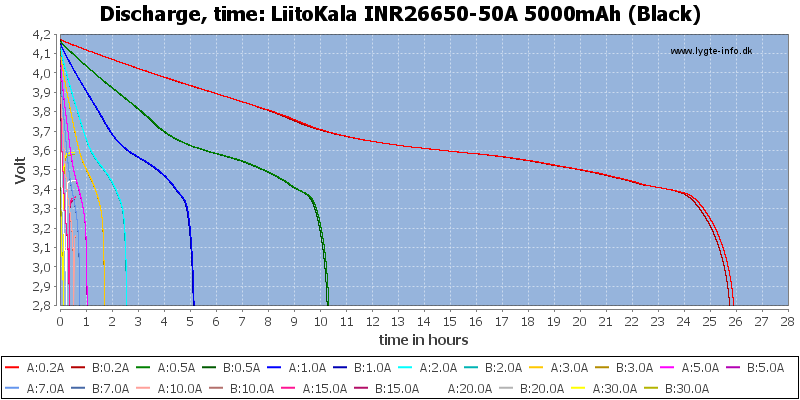 The cell got very hot at 30A, this is too much for continuous discharge. The performance is slightly below the old version, but it is still a very good performance. I’m glad that I bought a few. 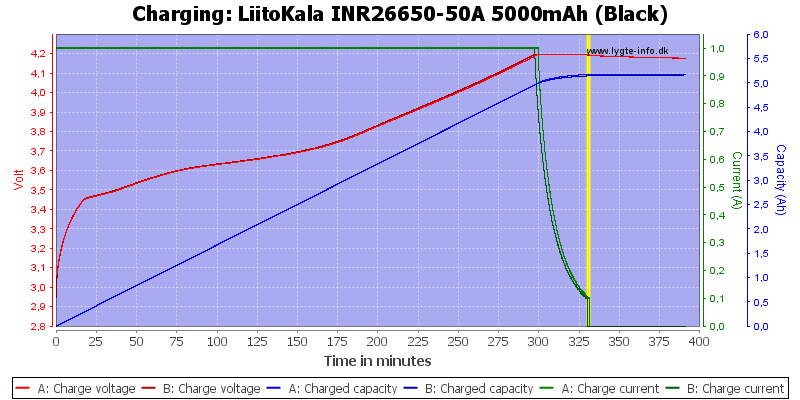 In my Opus all 4 tested between 5400 and 5500 mAh (so at 500mA discharge), but the Opus measures high. 10x for that review m8, GJ! When I got my first black sample I charged it to 4.2, did a discharge to 2.8, and then charged it to 4.2 on the Xtar VC2. I got 5500 mAh. Go figure. Approximately 1.5 months before I could order them from the liitokala official store at AliExpress. Now, they do not ship into many European countries (including mine). Does somebody know, what happened? It usually has something to do with airfreight regulations. Happened with Gearbest as well. It is a constant battle between the shops and shipping companies and regulations. It can include a lot of “silly” factors, like not specifying that the parcel contains batteries or putting batteries in cheap flashlights. 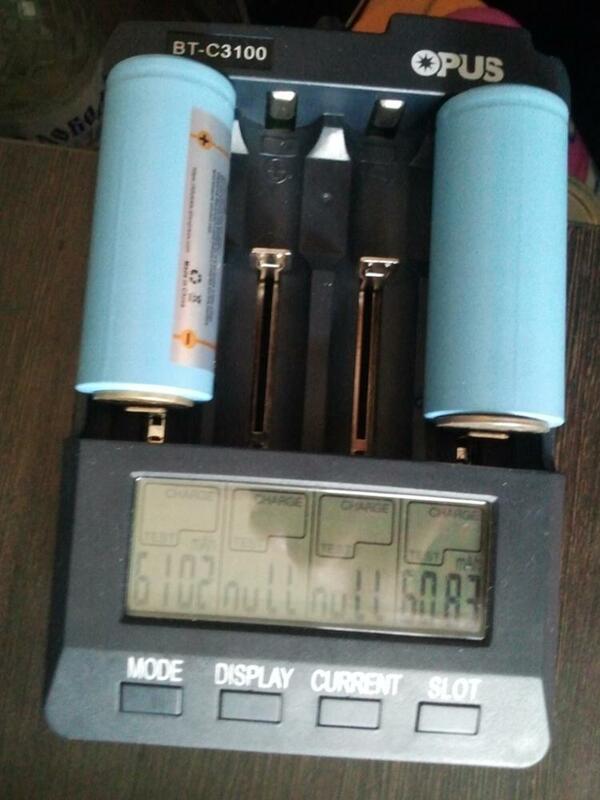 I believe that all the Chinese shops has this battle where they try to ship batteries and due to changing regulation/polices it gets rejected. One of the more silly is shipping with “Post Sweden” to Denmark or Sweden. 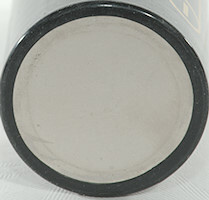 “Post Sweden” is part of “Post Nordic”* that deliver post in both Sweden and Denmark, but they will not ship LiIon batteries to Sweden, only to Denmark (The shipping route is through Sweden) at the current time. *That company is a political problem (The companies is government owned), “Post Sweden” bought (More or less) “Post Denmark”, transferred a lot of money from “Post Denmark” (There is no reason to own buildings) to Sweden and now “Post Denmark” is out of money (Big time). 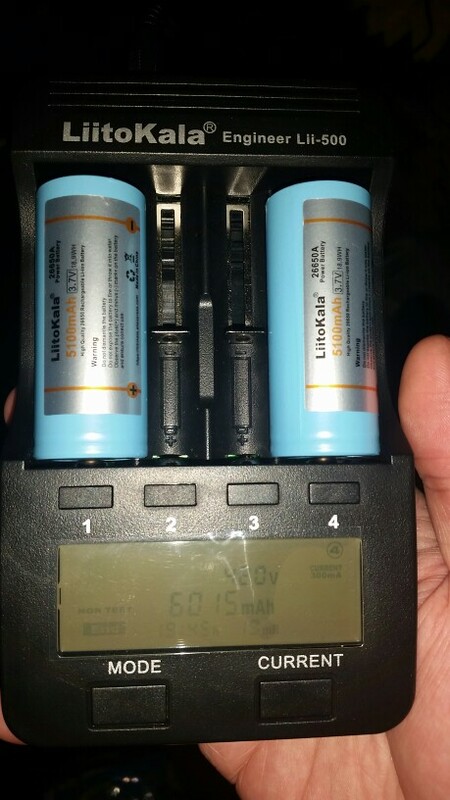 I'm searching cells for the Convoy L6, and would like something with similar performance than this LiitoKoala INR, but ideally protected. I know INR chemistry is safer than ICR by nature, but I would get the double security combo, as I'm planning to offer this light. Which cells would be a good choice? I’m pretty sure that high drain + protected is not possible, unfortunately, it’s one or the other. Others will be able to go into more detail but I’m quite sure the protection boards prevent cells from being ‘high drain’ cells. if you do want some good protected cells tho keeppower make good ones. Protected batteries usually are not high drain types mostly because protective circuitry with enough MOSFETs to handle all of the current simply doesn't fits in the limited available space of a tiny board. 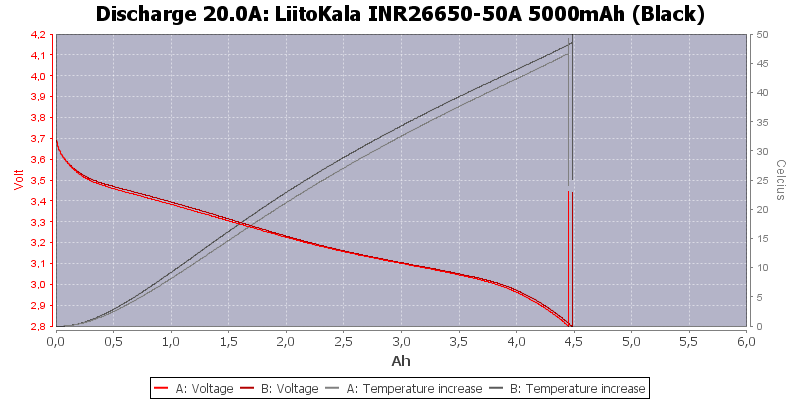 Protection boards add in series resistance to cells, this lowers energy output (voltage and capacity). A typical DW01A plus dual 8205A MOSFET protection board probably adds ≈15mΩ of burden resistance. 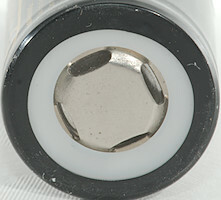 They also consume power to feed the protection circuitry, something which eventually ends up discharging the cells and self-tripping the over-discharge protection. 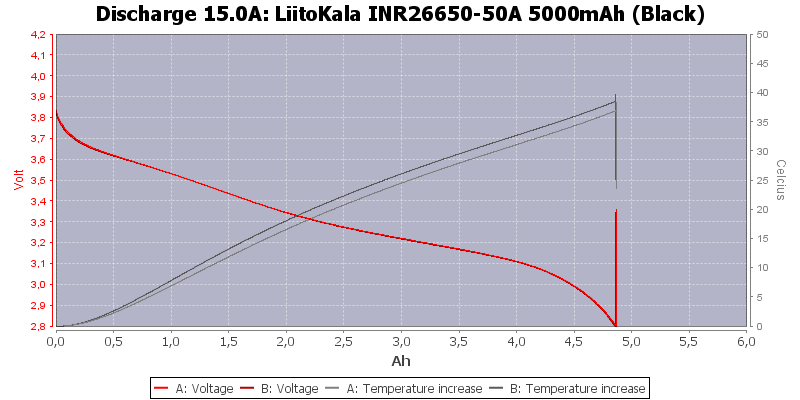 Li-ion technology wasn't mean for careless and uninformed end users. Proper user education is always the best approach. Thanks for this thorough and well wrote piece of information. You are right. That said I never planned to offer it without educating the "gifted". But I sure also would like to minimize any risks. It's kind of doubling the security measures, too much is never too much. I'm trying to find the hazardless setup to fuel this L6 light. 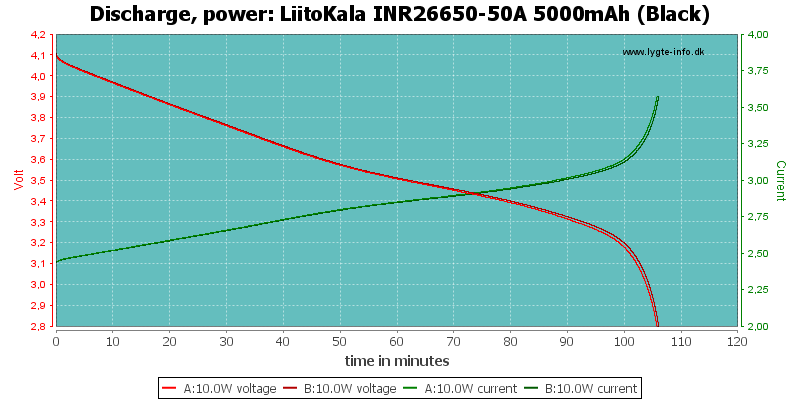 If I rephrase, my need would be "What is the safest way to store 6 to 8.4v in a 2x26650 space?". 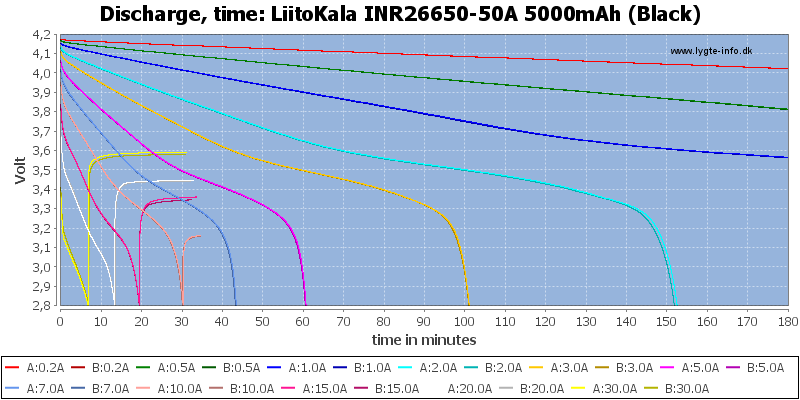 And at that point, without any magical AAAs to 26650 adapters appearing somewhere (with also really strong hopes that sag would not kill them), the safest energy option seem to be KP 5200 protected cells. There are quite a few 15A “high drain” protected batteries around now, based on 30Q and VTC6. It just requires more MOSFETs in the protection circuit. Now they are shipped again with NL post. Only a few hours left, but sellers re-launch their sales quite often. and LoL! with the Opus. There must be something wrong with that machine, I believe. Looks normal, though user may improve his information technology equipment usage skills. 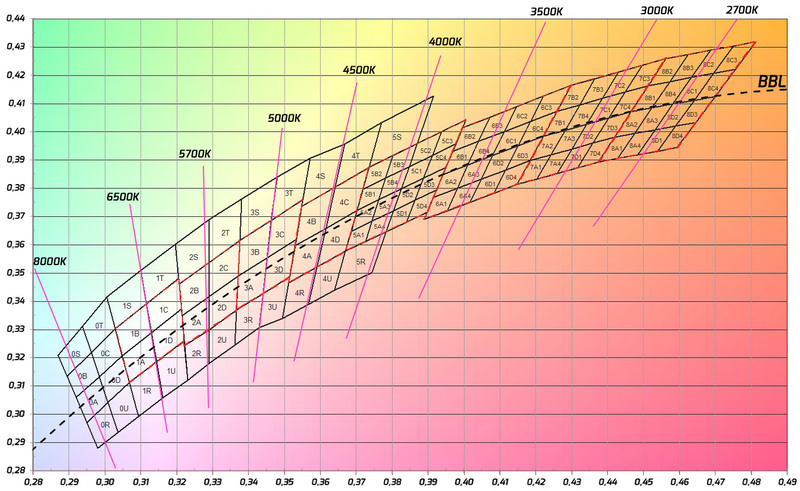 Consistent with the above Opus' figures. Interesting, indeed. Do you believe product quality is consistent but not so with regards to user and charger teams? 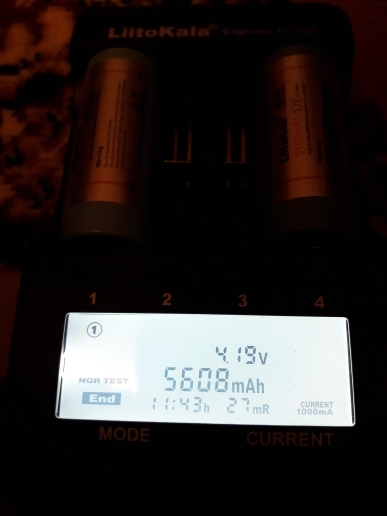 Well, were the batteries all discharged to the exact same amount? Consistent with the above Opus’ figures. Are they the same 2 cells in every test? Those are cell buyer's submitted pictures. 1st, 2nd, last and each remaining pairs from different users. 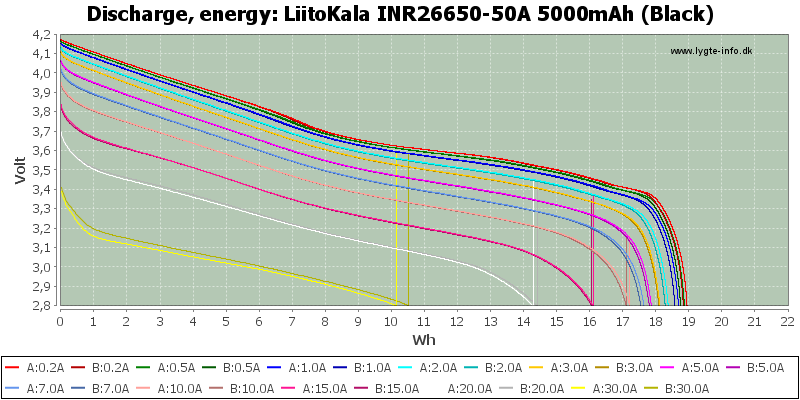 Albeit there's quite a discrepancy among the Lii-500 units. P.S. : please don't quote like that. A bit cheaper for me. К вам завозят сразу контейнер и распродают уже внутри страны. По многим позициям такая схема работает. Хуле, рынок бездонный фактически. 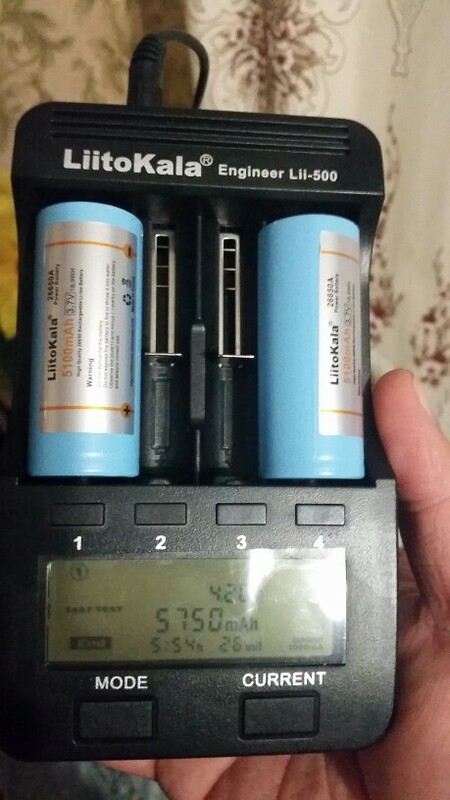 Out of curiosity took a peek at the aforementioned link's feedback: https://www.aliexpress.com/item/Liitokala-2PCS-26650-rechargeable-battery-26650A-lithium-battery-3-7V-5100mA-26650-50A-blue-Suitable-for/1000004139007.html AliExpress' store number 133859. User measurement inconsistencies all over the place, at times in a wild way. 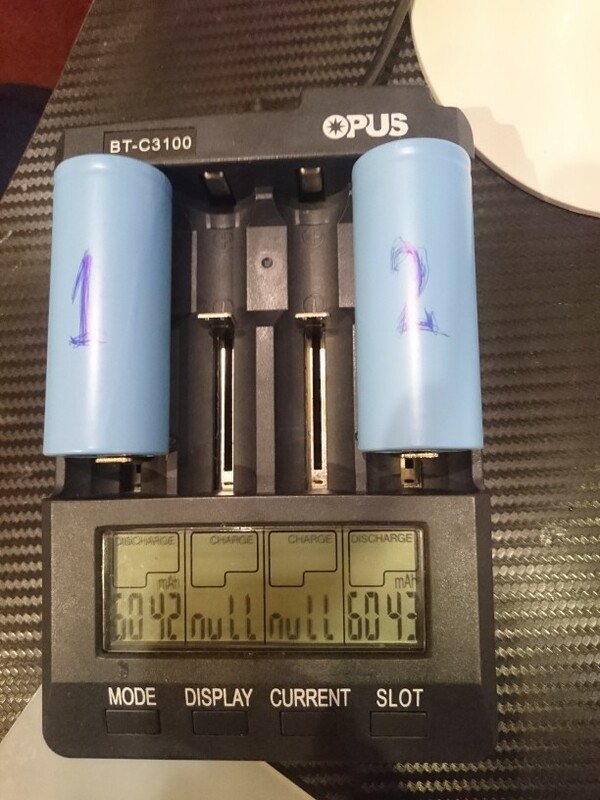 Honestly, one would not expect this from a reputable cell manufacturer (Power Long Battery), so something fishy is going on behind the curtains. This could be because of rogue merchant dealing with and selling factory rejects, or who knows what other trickery. 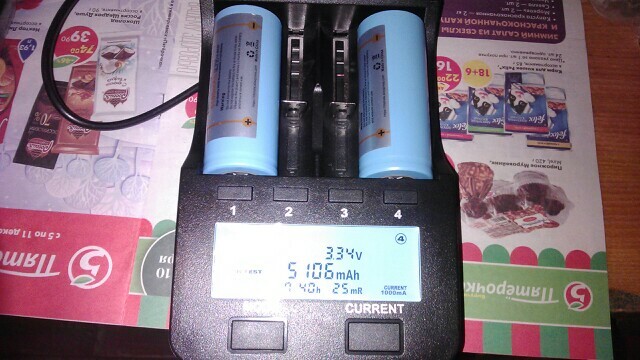 Out of curiosity took a peek at the aforementioned link’s feedback: https://www.aliexpress.com/item/Liitokala-2PCS-26650-rechargeable-battery-26650A-lithium-battery-3-7V-5100mA-26650-50A-blue-Suitable-for/1000004139007.html AliExpress’ store number 133859. Hi! 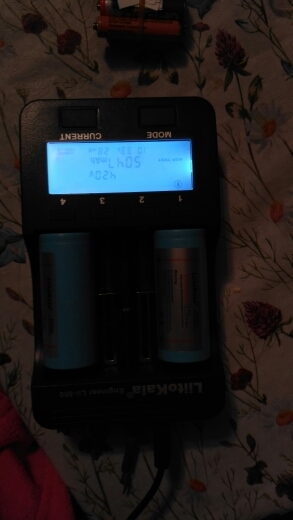 This is fake battery? 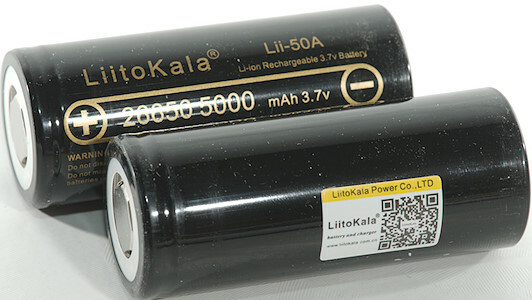 Liitokala can’t make fakes of their own brand of batteries. 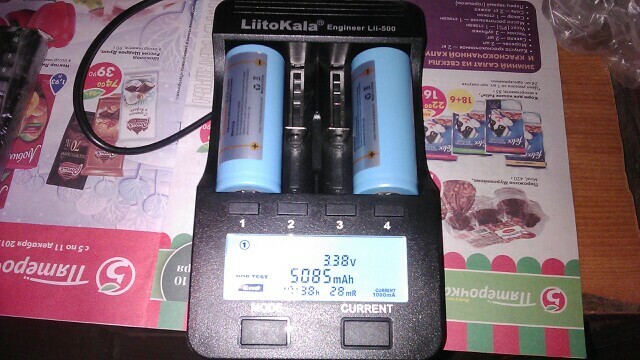 By definition a Liitokala branded battery sold by Liitokala isn’t a fake. Edit: I don’t know what is real and what is fake. Interesting…. this one says it is the ‘Official Liitikala Store’. . 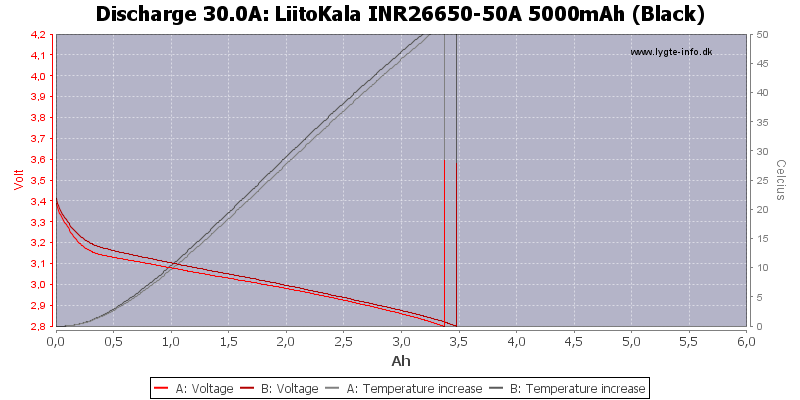 The one I posted is linked directly from Littokala’s website. 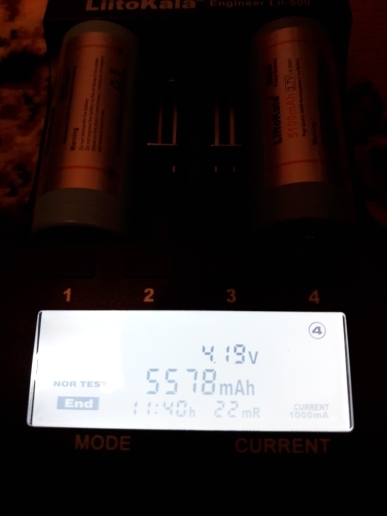 I ordered 4 of the new blue 5100mAh 26650s about a week ago. When they get here, I will check-test the capacity and internal resistance with my chargers. HKJ hasn’t tested the 2018 blue cells yet…..
… Hi! 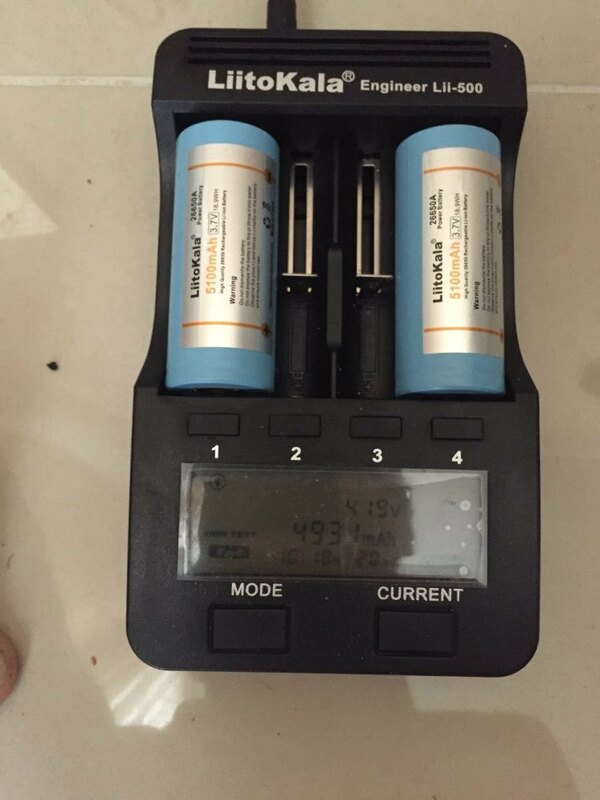 This is fake battery? No fakeness to be proved there. 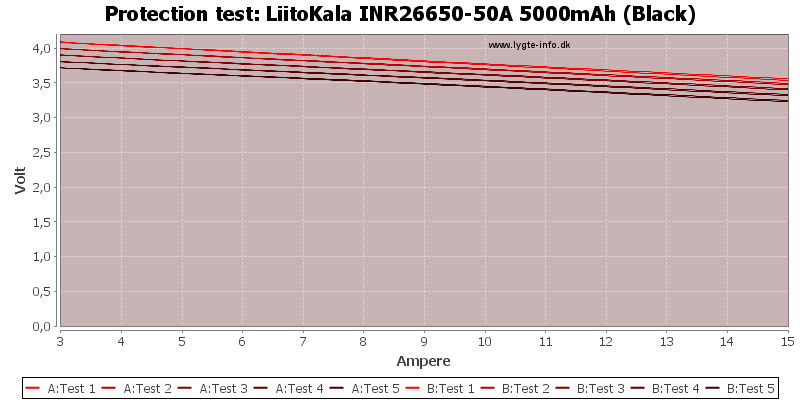 Their cells have been tested by Henrik here and there, delivering consistent capacity above 5Ah in any case even at 1C rate as per official PLB specs (a Lii-500 discharges at 250/500mA, which at most is 0.1C). God knows what they're doing those AE merchants besides deceiving and dissapointing customers. Of course I do not mean to say all AliExpress sellers do the same, but the way AE works seems to be fertile ground for crooked sellers. 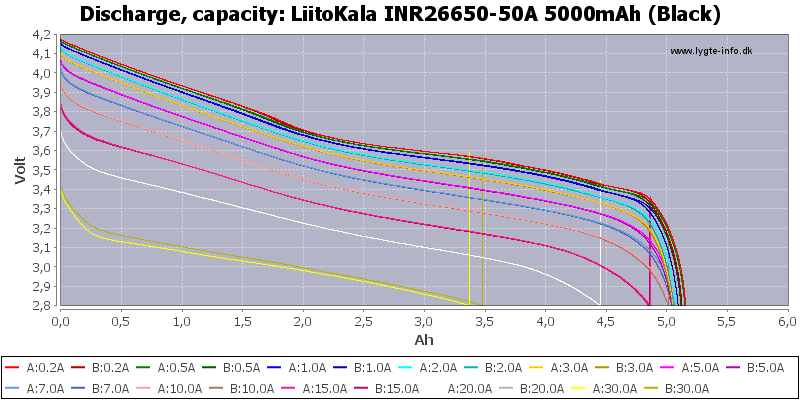 In my opinion the whole LiitoKala battery rewrapping division smells like a nice fart. Thanks, that is good info to know!! Seems there are many bogus stores using ‘Liitokala’ on Ali. Claimed to be 2018 Liitokala 26650 5100mA 50A flat-top blue wrap. Shipping used to be $57.54 to United States. For now, shipping is $4.95 to United States. So, that’s about $4.40 apiece. If you order just four, they are about $4.81 apiece here. Pig in a poke, I do not know how good these are.